Jean-Aime Toupane was born in the 12th of January 1958. 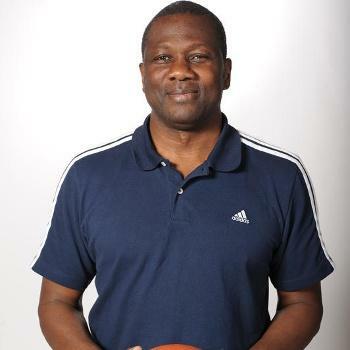 His first head coach experience was in 1998-1999, when he led Spacer’s Toulouse. The following years he worked for Auvergne, Pau-Orthez, Toulon and Antibes. Since 2014 he cooperates with France Federation. Through the years make a big impact in French basketball and his European recognition came in 2017. As a national coach of U20 he won the bronze medal at Eurobasket U20 which took place in Herakleio, Creta. Ο Jean-Aime Toupane’s son is Axel Toupane, who plays for Olympiacos Piraeus. Slobodan Klipa was born 1 August 1960 and he is a Serbian basketball coach and former player (He played for KK. Igman – Ilidža, KK Zeljeznicar Sarajevo, Visegrad Ward KK, KK Kvarner Rijeka, BC FMP Zeleznik BC Beopetrol I-IMT Belgrade). He currently serves as head coach of Crvena Zvezda U16and he is coordinator of youth categories. His coaching career started in 1996 in the junior categories of Beopetrol BC. After that he worked as head coach of Beopetrol senior team, FMP, KK Igokea, Red Star (junior team) and BC FMP Zeleznik. Also, he worked as a head coach of Serbian National Teams U20, U18, 17 and U16. During his coaching career he took part in development of players: Vladimir Micov, Kosta Perovic, Dusko Savanovic, Zoran Erceg, Milos Teodosic, Milan Macvan, Dejan Musli, Marko Guduric, etc.